The E-mail Gateway is a Windows®-based software application that provides the capability to send and receive emails using the TR2xxx HF Radio using STANAG 5066 as the transport protocol. 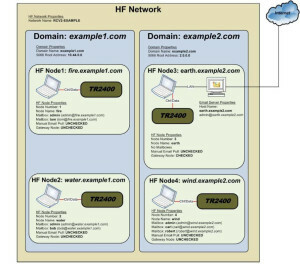 The E-mail Gateway can be configured to function as a Gateway HF Node connected via an Email Server to the Internet or as a normal HF Node. 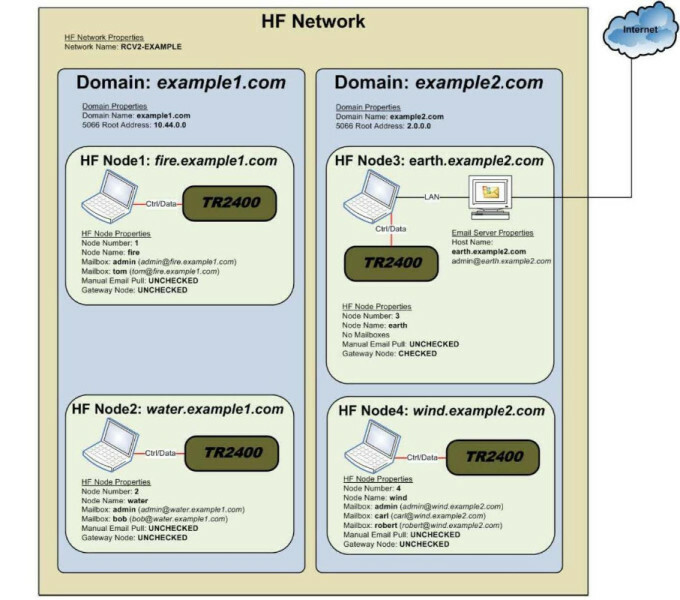 An HF Node sends/receives emails using an Email Client. The E-mail Gateway connects to a TR2xxx internal STANAG 5066 ARQ protocol stack via the serial data interface and provides interoperable, networked, error-free efficient communication via the HF Radio. The E-mail Gateway supports Email Client software like Microsoft Outlook Express® through SMTP and POP3 protocols. These allow the E-mail Gateway software to accept email from Email Clients and to deliver emails to Email Servers.